Chris Orr, artist/printmaker, lives and works in Buckingham, England, where he has an etching studio. His work, besides the Blake etchings, covers such topics as the Small Titanic, the House of Commons and the 1 Horseman of the Apocalypse. He teaches at the Royal College of Art, London. 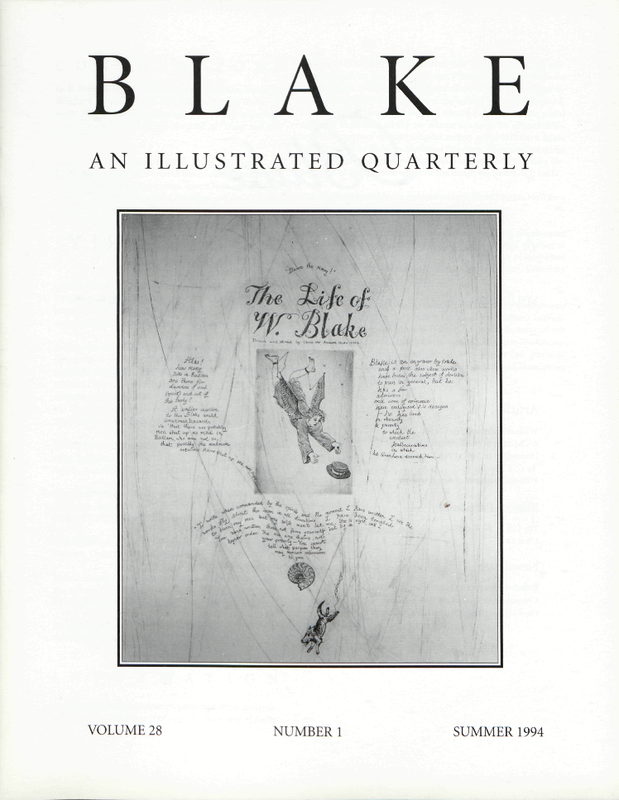 Cover illustration: Chris Orr, The Life of W. Blake. Courtesy of Chris Orr.